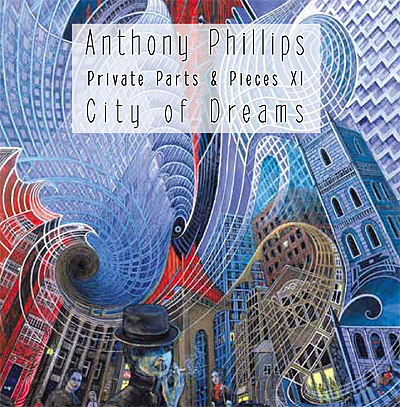 December 2012 sees the release of City of Dreams - a brand new album release from Ant which is the eleventh in the Private Parts & Pieces series. City of Dreams takes the listener through a number of moods ranging from the epic to the reflective via atmospheric soundscapes to create a rich and ultimately rewarding journey for the imagination. On several of the tracks the emphasis is on mood and atmosphere, whilst other pieces reflect a sense of the activity in a busy urban environment. Ant�s effortless ability to create a series of beguiling and inventive musical landscapes is highlighted throughout the album. For over thirty years the Private Parts & Pieces albums have been delighting and intriguing music lovers. As the latest instalment in the series, City of Dreams highlights further facets of Ant�s unique melodic style and provides ample demonstration of his considerable talent. City of Dreams is available to order from Amazon now.